Who are the 50 highest paid rabbis in America? Newsweek has published its list of the 50 most influential rabbis in the US. We do not know what "influential" means. The authors do explain their methodology, but not why it makes any sense. They then present a list without telling us how each rabbi met their criteria. Since this is not the first year they are doing this, they give last year's ranking with no hint as to why a rabbi moved up or down on the scale. Celebrity lists abound in Hollywood, whence this one emanates. But how do you justify using Hollywood standards for religious leaders? We thought there was more substance to religion's place in our lives, that it was more than mere entertainment and that its leaders were more than PR seekers. Guess not. Anyhow. we'd be better informed and more interested if the magazine published a list of the 50 highest paid rabbis in America. Or perhaps this is that list. So where are the compensation numbers? In the America that we live in, the most reliable measure of success and influence, is compensation. And note well that eleven of our fellow Yeshiva University Rabbinic Alumni are on the list: Ephraim Buchwald '76R, Abraham Cooper '74R, Mark Dratch '82R, Yehiel Eckstein '75R, Menachem Genack '73R, Rosh HaYeshiva Norman Lamm '51R, Haskel Lookstein '58R, Arthur Schneier '56R, Marc Schneier '83R, Joseph Telushkin '73R and Avi Weiss '68R. YU President Richard Joel is not on the list; he is not a rabbi. JTS President Arnie Eisen is not on the list either; he is not a rabbi. There is confusion about whether iPad has a real GPS embedded. This article in BindApple explains the confusion and still leaves us unclear about what we have in our wi-fi iPad. There is excitement about the Blackboard Mobile Learn App (free -- your university must have the server side modules installed) for iPad and other mobile devices. It's a nice first step towards a pure and full application of the platform for the mobile universe in higher education. Yeshiva University is providing Torah lectures at the global financial services company, Morgan Stanley. It's a fine place to offer lectures on the Talmud, if your mission is to provide Torah services to highly paid financial services employees. Join fellow alumni at the second Summer Lecture Series event featuring Rabbi Dr. Jacob J. Schacter. The series will take place at Morgan Stanley, hosted by Yoni Shenkman ('07SB) and will feature several YU personalities.Tuesday, July 13th: Rabbi Dr. Jacob J. Schacter: On Mourning for the Temple and Jerusalem in 2010. YU is also providing Torah lecture services to rich cruise ship patrons. Join alumni and friends of Yeshiva University in conjunction with Lasko Kosher Cruises on the 3rd Annual Yeshiva University Cruise, with special guests President Richard M. Joel and Rabbi Dr. Jacob J. Schacter. Come aboard the Costa Fortuna with YU and you will explore 7 ports of call in one glorious week with the option of joining tours of Jewish interest. Enjoy daily minyanim, shiurim and lectures led by one of the nation's premier Jewish educators and speakers Rabbi Dr. Jacob J. Schacter. Glorious opportunities from YU, if you are a rich person. 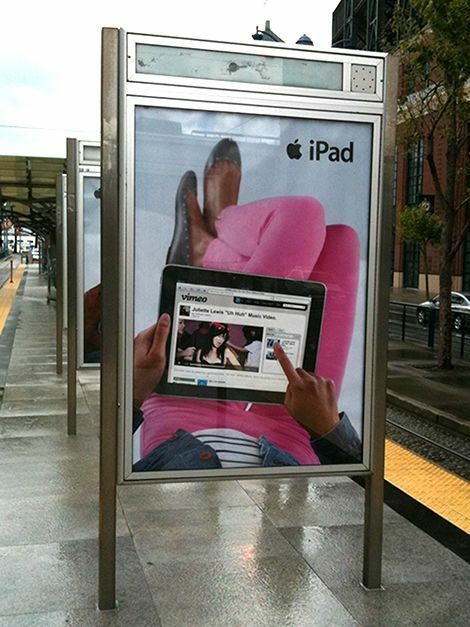 People have been asking us what we think of the iPad. Parable: How do you know when you become a really good golfer? You think about the few bad shots you had after every round, instead of the few good shots. iPad is just such a good invention, it's hard to come up with a few bad shots to mention. (1) No support for Flash, Adobe's platform used to add animation, video, and interactivity to Web pages. No remedy planned. (2) No multi-tasking. That's expected to be remedied in November. (3) Impossible to see the screen when outdoors. No remedy planned. (4) A closed file and operating system that inhibits control to apps. No remedy planned - it is the essence of how the platform is conceived. We are not sure why this scenario merits a story in the Post. We suspect accordingly that more interesting details will follow. Respected Rabbi Marc Schneier has split from his fourth wife and is now spending time with a younger woman. A source tells us the rabbi and wife Tobi Rubinstein-Schneier are divorcing after splitting a few months ago, and he has since started spending time with an attractive brunette in her 30s named Gitty. Schneier, founding rabbi of the New York Synagogue and the Hampton Synagogue in Westhampton, is also a spiritual adviser to stars including Russell Simmons and Steven Spielberg. He and Tobi have been married for three years. Schneier, 51, is also the founder and president of the Foundation for Ethnic Understanding. He often jets around the world to improve interfaith relations and met with Pope Benedict at the Vatican last year. Schneier, named by Newsweek as one of the 50 most influential American rabbis, recently told his congregation that he's suffering from bipolar disorder. A source told us: "He's divorcing his fourth wife. He's a great leader in the Jewish community, he's just not very good at marriage. "He met Gitty after he was separated from Tobi and they are spending time together." Schneier and his wife have homes in Westhampton Beach and Manhattan. Tobi famously arranged for a 400-pound endangered Asian lion called "Rabbi Marc" to be donated to the Jerusalem Biblical Zoo in Schneier's honor for his 50th birthday. A spokesman for Rabbi Schneier, Ken Sunshine, said: "Marc Schneier is a renowned worldwide leader, and a pioneer in Muslim-Jewish relations. He has been dealing with a very serious illness, and we will have no comment on rumor or innuendo." Calls to lawyers for Rubinstein-Schneier were not returned. 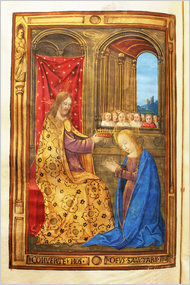 The Times has an article about an exhibit at the YU Museum of the Braginsky Hebrew Illuminated Manuscript collection. The collection is substantial but clearly this exhibition is premature and primitive. 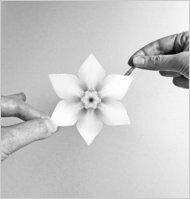 Aside from historical notes, the context of the meanings of the illuminations, the quality of the art, the development of style and continuities or communities of design, just about any critical content of learning, scholarship or analysis about the illuminations -- is lacking here. We're sorry to say that we've never thought the illuminations on Hebrew manuscripts "amazed" us, as Edward Rothstein ejaculates in his account of the materials. The drawings always look primitive and cartoonish to us, overwhelmed by naive anachronism that continues down to the present day in the sparse Orthodox art that we have. I don't know what Edward is talking about in his article's poetic opening, "Illuminations of sacred and ritualistic texts are forms of eruptions. Out of familiar and formulaic script leap the strange and extravagant. Rigorous textual arguments give way to decorative ornamentation. Formulaic words submit to a rich brocade of image." He's being kind, I guess, to a failed exhibit. There really is nothing to say beyond, a rich guy bought manuscripts. Here is where they came from. They have pictures. 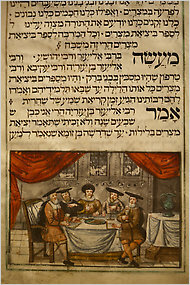 He tries to remedy the lack of insight in the exhibit by adding his own, "We see, for example, how particular Jewish communities at particular times imagined the Passover or Purim stories, how they imagined the nature of marriage or the function of commentary. Illumination brings religious text into history and, at times, into biography. The sacred becomes personal." Um, right sure, why not? He tries again with, "The ritualistic account of the Exodus or of Esther’s rescue of her people becomes allegory, full of color, costume and personal experience" or what he means is, they have pictures. And just how does a generous Times critic say that the exhibit is a disorganized mishmash? He notes that, "The effect of all this is dazzling and dizzying." And he concludes with a critic's wit, "Contemporary experience and ancient authority are brought together; the timeless past unites with the varying present: an illuminating collection," or, he says one more time, they have pictures. Max Rodenbeck writing in The Times Book Review has clobbered Bernard Lewis' new book on Islam (Faith and Power: Religion and Politics in the Middle East ) and has lavished praise on Fred Donner's (Muhammad and the Believers: At the Origins of Islam ). About Lewis: "If it were only the present that Lewis perceived through a gently distorted mirror, this might not detract from his distinction as a historian. But he gets the past subtly wrong, too, often by omitting vital context." About Donner: "This more sophisticated reading of history explains Islam not as a static doctrine, but as one that evolved from an ecumenical, syncretic, pietist and millenarian cult into a more dogmatic and exclusivist faith." Bernard Lewis has never impressed us. We disliked his opacity, politics and his overall bombast and pomposity. The Forward reports that, "Rubashkin’s Jail Sentence Denounced by Angry Haredim; Some Accuse Judge of Anti-Semitism, ‘Just Like Dreyfus!’"
The kosher slaughterhouse crook got sentenced to 27 years. Too much, not fair, antisemitism, shout the black hat Jews! We believe he should have been sentenced to life in prison without parole. The man made a mockery of the religious laws of the Torah. He ran a business whose purpose was to provide kosher meat according to Torah law -- as a racket, a criminal enterprise. Imagine the scenes. Day-in ritual slaughterers examined their knives for the smallest defect that might render an animal treif. Day-out kosher inspectors examined the lungs of animals for the smallest defect that might render an animal kosher, but not glatt kosher. 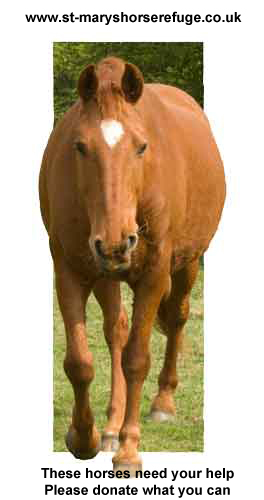 Meanwhile the owner of the enterprise whose purpose was to produce meat according to the law actually flouted the law. He was found last November guilty of 86 counts of financial fraud. We don't believe for one minute that the food produced in that person's enterprise was kosher in any way. 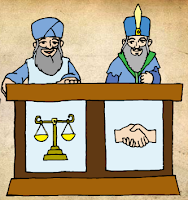 A liar, a thief and a cheat has no standing in Jewish law to represent that any ritual acts were proper. There is not the slightest reason to believe that any product from the Rubashkin plant was kosher in any way, shape or form. Yes, they violated 86 counts of financial laws and admitted, "to multiple charges of abuse of underage laborers." But no, the meat was kosher!? Give us a break! 27 years without parole is too short a sentence for such a scoundrel. He was destroying the essence of the Torah and rightfully should be punished harshly. Is Minnesota's Rev. Tom Brock a Hypocrite? Is Rev. Tom Brock a Hypocrite? And if he fits the definition, then so what? 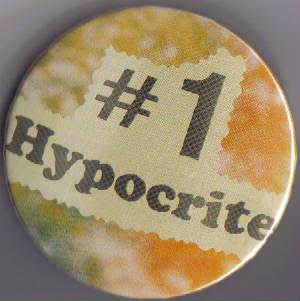 According to the thesaurus built in to MS Word, hypocrite is equivalent to charlatan or fraud. The Encarta Dictionary defines the word as, "somebody who pretends to have admirable principles, beliefs, or feelings but behaves otherwise." We've never been a big fan of the appelation. The Gospels use it to attack the Pharisees (who wear broad phylacteries to show they are so religious - but behave otherwise - at least as far as the Gospel writers see it). We believe that rabbinic Judaism is an evolution of Pharisaism. So we bristle at the Gospels' broadsides. Apparently a hypocrite is not just an inconsistent person or an ironic actor. It's also someone whom you dislike, whom you wish to expose as a fraud and a charlatan. But really. How could any actual society function if every hypocrite wore a big letter H? How could a religion operate if a preacher or teacher had to put and asterisk next to each precept that he did not live up to entirely? Exposing a hypocrite may be entertaining or even a socially valid action if that person stands for a form of bigotry and discrimination that you oppose. Is the consistency of moral word and action praiseworthy? We suppose it is. Is being a hypocrite a personality defect? Perhaps. Let the pure among us judge that, whomever they may be. And let them keep it to themselves. A hypocrite is not a criminal. Chasing after them is a mere sport. Exposing them is mostly a form of gossip, not anything of high and mighty social value. Is it ethical to engage in a deception, perhaps itself a form of hypocrisy, to get a story that exposes a hypocrite. The Minneapolis newspaper ostensibly wants to know. Or do they just want to fill their pages with all sorts of slimy forms of entertainment? And then what about us, writing about them? Aren't we in on the game too? Here's the non-news story from the Star Tribune. An anti-gay pastor is allegedly "outed" by a magazine reporter who went undercover in a therapy group. A Minneapolis gay magazine story allegedly "outing" a minister based on comments he made during a therapy session is generating a flood of controversy, both about the minister and the magazine's reporting techniques. "You have a lifelong connection with Brown and with Brown alumni, starting with the friends you made on campus and extending through the alumni you meet along the way. Brown Alumni Connect makes it easier to stay connected to Brown and one another. In this inaugural version, you'll connect through news of campus activities and of Brown alumni." Here is the app link. It may be Ivy League, but its aim still is just plain schnorring (begging for money). A source reports that the Slonimer Rebbe calls for an apocalyptic Holy War over school integration in Israel. Sad, tragic, but we kid you not. Here is the text. To our beloved, dear community, Hashem is upon them, may they live. Be strong and may your hearts gather courage, all those who hope to Hashem. During these difficult days that our congregation, may Hashem guard and protect them, is enduring – His advice is faith, and this is Hashem in whom we place our hope, we will rejoice and be jubilant in His salvation. Know this: Had I thought that the court justices believe what they say, that the school in Emanuel is founded on racial discrimination, it seems to me that I would act differently. However, since I have no speck of a doubt that they know the truth, that all their words are based on falsehood. If so, this is nothing but a struggle between faith and heresy, between the force of holiness and the force of impurity of the Other (evil) Side, – a struggle that we always knew would erupt at the End of Days. And in a struggle over sanctification of Hashem’s Name – even if they will place us before a firing squad – we will not yield nor compromise a hairsbreadth! Hashem is our King and we are His servants until our final breath. Please join us in this exalted struggle, the struggle that has been awaited and anticipated for generations, “when will it come to my hand, that I should be able to fulfill it”. Yum! Hat tip to Bernice. Move over Soy Vay sauces. 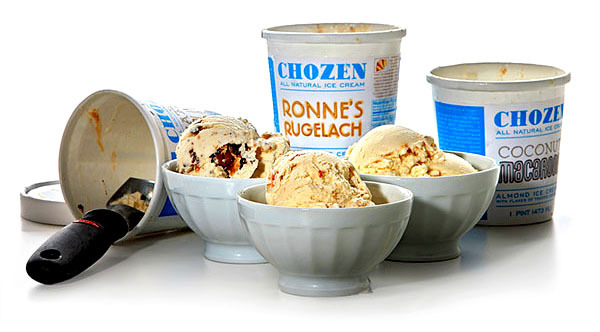 Chozen is a new kosher ice cream with mix-ins that would make Tevye happy. Rugelach, coconut-almond macaroon and chocolate matzo are the flavors, all swirled in a fine vanilla ice cream base with no gums or stabilizers. It started as a kitchen table concoction by Ronne Fisher and her daughters, Meredith Fisher and Isabelle Krishana, as they shared memories of traditional Jewish baked goods and ate homemade rugelach straight from the freezer. Nonetheless, one bite of the coconut-almond macaroon had me happily recalling a Good Humor toasted almond ice cream pop. Chocolate babka and honey-apple are future flavors. How about hamantaschen for Purim? Chozen Ice Cream is $4.99 a pint at Garden of Eden stores, $5.99 at Union Market stores. He taught a course in Jewish liturgy (Introduction to Davening) in prison and we taught one (Introduction to Jewish Liturgy) at JTS. Disgraced former lobbyist Jack Abramoff was released from federal prison to a halfway-house earlier this month and is taking steps towards a new start—at a pizza shop. The Baltimore Jewish Times reported Monday that Abramoff is working with Tov Pizza (“Baltimore’s Best Kosher Pizza”) owner Ron Rosenbluth in “almost all areas of the restaurant business” with the expectation of focus on marketing strategies during his six-month stint. Abramoff, before his precipitous decline and imprisonment in November 2006 on felony counts of fraud and corruption charges, listed among his business interests a kosher restaurant in Washington, D.C., so the industry is not new to him. Should we say Kaddish for the Kindle and Nook? Kaddish is a prayer recited for the departed in Jewish tradition. Is it time to say Kaddish for the Amazon Kindle and the Barnes and Noble Nook? Nook is relatively new and a nice device -- for 1999! And Kindle is older and a great invention -- if it were 1995! Seriously, there are great advantages to both devices, especially the network connectivity and the page clarity. But both are annoying when you turn their pages. And both suffer from numerous other limitations. Now there is a price war going on and the devices have become less expensive. Articles explaining the price reductions invariably credit the iPad for provoking the sense of urgency in the e-reader marketplace. And they should. iPad is far ahead of the readers in all ways but one. You cannot read from it in sunlight. And you have free Kindle and B-N apps for iPad! So yes, start saying Kaddish for both items. They will die out as paid products. Pretty soon you will be getting them both for free, or nearly free. The iPad is just so much better! Get money back if you just bought one of the dinosaurs. WSJ tells you how to get $70 or $60 back if you bought one in the last 30 days. A week ago we started to have to manually connect to Wifi every time we turned on our iPad. That is not a good thing. iPad should find known network routers automatically. Well something was gumming up the Wifi works on our iPad. After much searching and anguish, we corrected the issue by a simple reset of our network settings. Do this. Go to and select Settings: General: Reset: Reset Network Settings. This will reset all your network settings to factory default, including passwords, VPN, and APN settings. And once again your iPad will connect on its own to your known Wifi routers. But warning -- do not reset your home screen layout if you have spent time organizing and grouping all of your app icons on different screens. That selection will alphabetize your apps icons. Always exercise care when choosing a reset option on any device. This enhancement doesn't work yet for us. We need to refresh our screen to see the larger email compose area that is supposed to appear now in Gmail for iPad. Update: Works great today (Wed.)! Nice enhancement. We find ourselves going back and forth between the Gmail access via Safari and the native iPad email program. The latter renders the graphics in an email much better than the Gmail interface. It only takes a minute to set up the iPad email program to access your Gmail account. The drawback to using the iPad email is that you lose out on the Gmail threading. Once you have gotten used to that -- and it does take some time -- threading becomes a way of life. The Gmail interface also has a direct Archive button. To achieve that in the iPad email, you need to move you message to the All Mail mailbox. Some people complain about the sound effects and graphics of the iPad email application. So far we like that. It's a tossup with an edge to the iPad program because we do get a lot of formatted emails and we cannot tolerate the ugly way they appear in the Gmail Safari interface. There's an Orthodox blog war brewing over the Emanuel school segregation situation. The Modern Orthoprax and Heterodox Blog v. Yaakov Menken and Yitzchok Adlerstein of Cross Currents Blog. Avi Shafran also has chimed in to join the debate. The CC bloggers and Shafran defend segregation. One of these spokesmen says that the segregation of schools in Emanuel is totally okay because it is not really based on race, but wholly based on religion. People, they say, have the right to choose with whom and how to educate their child. They miss the point. We oppose segregation on principle, not on rights. We think segregation is bad for society as a whole. We support the use of government authority and force to end it, whether in the past in the South of the US or in the present in the towns in Israel. The author of the MOH blog focuses on the hypocrisy of the Orthodox positions on this issue. He misses the point. Those Orthodox who preach and practice segregation are wrong on principle. Last time we checked, hypocrisy was not illegal or immoral. Everyone we know practices it to some degree at some time or other and in doing so breaks no known law. Whether based on religion or race or wealth, segregation has been deemed illegal in many instances because it is immoral and because it weakens the fabric of a society. That's not just our opinion. It is the law. We fear Burg is at the vanguard, and that he may be right. Former Knesset Speaker Avraham Burg said mass protests in the haredi sector following the Emmanuel affair, in which parents refused to send their daughters to an ethnically mixed school despite a High Court ruling on the matter, served as the final deed of divorce between the haredim and the rest of Israeli society. In an interview with Ynet, Burg warned that the widely covered attack of haredi sector representatives on the Supreme Court and its judges is eroding Israel's rule of law. "The haredim are not part of the State of Israel," said Burg. "The day before yesterday, haredim declared their autonomy within the State. They may be part of other countries, but I think we are witnessing the ongoing disintegration of Israeli society into 'tribes'." The former Knesset speaker said the passing week has served as a turning point in the State's ability to govern the haredim. "The Supreme Court has become a weak body under attack and no one is defending it. Their power trip, along with mistakes made by the political establishment, which has simply ceased to function in the past few weeks, are issues that could have been solved quickly. "However," Burg added, "The situation has reached a boiling point, and the demon cannot be put back into the bottle." Burg spoke during a weekly leftist protest at the east Jerusalem neighborhood of Sheikh Jarrah against Jewish presence there. According to Burg, there is a connection between the haredi conduct and the political situation. "They will simply establish their own communal autonomy. The last ones to get this status will be the occupied population of the State of Israel in the West Bank and Jerusalem. "When people say 'there is no holiness in an occupied city,' it means that there is a need to do a just act instead of a wrong one. This is exactly what all these people are doing here – this is the real Jerusalem," he said. Unbelievable that Orthodox Jews present one of the greatest threats to the viable future of the State of Israel. No, this story is so bizarre, these Orthodox are protesting because a ruling has required them to integrate with Sephardic Orthodox Jews. Faithworld reports: "Ultra-Orthodox protest against Israeli ruling to integrate Jewish schools." These 10,000 + Orthodox protesters obviously have never had exposure to team sports in high school. They do not know how to play nicely with the other children. 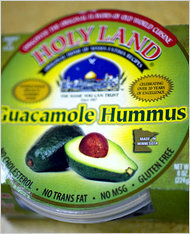 The Times has a story about foods in America that focuses on a product line called Holy Land Hummus from Minneapolis, "Hummus Catches On in America (as Long as It’s Flavored)." I don't know but "Vatican City Pasta" wouldn't sound right to us if someone came up with that sort of product. The Times thinks that it is just so cool that this Arab owned company is making a success at flavored Hummus. We don't disagree. Just realize that the company injects religion and politics into our marketplace in blatant in-your-face ways invoking the Islamic Holy Land and the Dome of the Rock, the Mosque of Omar, to sell its vegetable dip. Now u pdated from 8/30/09. Journalism can be many things. 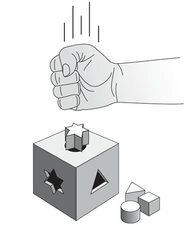 Often stories report on entertaining, but trivial, political spats or celebrity scandals. Sometimes a report has the potential to save lives. That's frequently the case in the writing of jstandard's science correspondent, professor Miryam Wahrman, professor at William Patterson University (and your blogger's sister). This week's cover story in particular will save lives because it encourages people to donate organs to those who need them. And it is so perfectly written that the story will surely make generous people consider that altruistic act. There are 80,729 people in the United States on waiting lists for a kidney (2,723 in New Jersey). Although the number of living donors has increased in recent years, the rate of donation does not keep up with demand and many people die while waiting for a kidney. There are approximately 6,000 live kidney donations per year in the United States, representing about 45 percent of all kidneys donated (the rest are from deceased donors). In New Jersey, living donors have actually eclipsed deceased donors; in the last 10 years there were 1,472 living kidney donors, compared with 1,297 deceased donors. It's just such a sweet idea for children. A free animated web site to teach the basics of the Talmud. Go see it. Still in development but enough of it is up to see that it will be a delightful pedagogic tool. Hat tip to VIN. Personal connection: The site is endorsed by Rabbi Mordecai Goldstein, head of the Diaspora Yeshiva in Jerusalem, who was a dear friend of my father-in-law Milton Helfgott (of sainted memory). There is in the App Store a free and a pay Siddur for your iPad to make it davening friendly (search for Pocket iSiddur and Siddur HD respectively). We have a better suggestion. Here it is in a nutshell. Buy GoodReader (99 cents). It is just so good the we recommend it for many uses. We had the Rinat Yisrael siddur (PDF) saved in our Google Docs. You can just go and get yourself a copy here http://hebrewbooks.org/34229 (or get any of a number of prayer books from that site in PDF format) and then open it in GoodReader and you are done. You have the siddur that you like and can read it in portrait, landscape or 2 page landscape. It pages smoothly and reads clearly. Besides this one off use, the GoodReader app restores to you the sense of control over your files on your iPad. It's good! Tonight is the 16th anniversary of the death of the last Lubavitcher Rebbe. The last few years we noted the event in our blog and remarked that it is past the time when a new Rebbe should have been selected by the Hasidic movement. We renew our suggestion. Those Hasidim need a new rebbe. The last one was an influential leader who did a great deal to strengthen Judaism worldwide. Despite the hopes of many Hasidim, he was not the messiah that was promised to the Jewish people in the bible. So we do strongly recommend that he be replaced by a new rebbe, a successor who will continue his work to foster the values and practices of Judaism. See the group's web site for more about the rebbe and the movement. The Times covers a book by Sam Heilman, a sociologist at Queens College, and Menachem Friedman, a professor emeritus at Bar-Ilan University in Israel about the Rebbe. They, "...offer a view into his world in their new biography, 'The Rebbe: The Life and Afterlife of Menachem Mendel Schneerson' (Princeton University Press). But they have provoked a growing chorus of complaints from people inside and outside Chabad with their characterization of the rebbe." How far removed we are - a blog post about a newspaper report about book about the rebbe. Amazing how many people want a piece of that religious leader's charisma, even after 16 years. For the years of criminal abuse by his priests, Pope Benedict XIV has offered an apology and begged for forgiveness, costing him nothing. The Times reports, "The pope did not outline specific actions that the church would take to combat abuse, as many had hoped — and as Benedict had pledged at an audience in April." In short, the Vatican has not put one penny into the monitoring of abuse by its employees. Sad, truly tragic, is the pure and utter denial that pervades the Holy See. In the same breath as his faux apology the pontiff explains that in the view of the world from Rome, priests are not to blame. The Devil made them do it to the "little ones." “And so it happened that in this very year of joy for the sacrament of the priesthood, the sins of priests came to light — particularly the abuse of the little ones,” the pope added. Scorecard: One worthless apology. Pope still on square one. It seems clear to us that Israel is not losing the PR war after the latest events. The results are complex and mixed. An example, Tony Judt in an op-ed has moderated his anti-Israel rhetoric, quite a surprise to us. The Times has a story in the business section of the Hobby Lobby's Steve Green's new Bible Museum. Green is a Pentecostal. OKLAHOMA CITY — At least one example of the printed word is in great demand even in the digital age: ancient Bibles. With a goal of establishing a national Bible museum of great depth and size, the evangelical Christian family behind the Hobby Lobby chain of craft stores has been spending heavily to amass a collection that has set dealers buzzing in the staid world of rare books. When you incentivize education with pure monetary compensation in recognition of statistical performance, you invite the corruption of the system. To preserve the integrity of their practices, we have said time after time that education and health care must remain basically socialist sub-systems even within the most capitalist context. Once the systems are corrupted, people lose confidence in them. What value then is there in a diploma from a corrupt system? 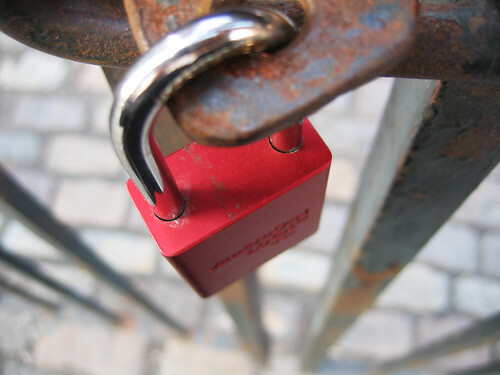 What value is there in a prescription from a compromised doctor? This series in the Times about cheating in education will be devastating news to some and obvious old hat to others. Henry calls our attention to the Bergen County Yeshiva Tuition Blog, a subversive discussion of the dynamics of parents who pay for tuition at Yeshivas. It's quite a lively blog, where many participants apparently have the same name (Anonymous) and the same litany of complaints. For the uninformed, a Yeshiva is an expensive private Jewish school where the students are taught that the only way one can be a good Jew is by going to a Yeshiva when young and sending one's children there when older and married. Actually, beware, that blog is quite a cynical place. And you heard it from us, experts on cynicism who ought to know. PS: Henry, of all people, you ought to know how expensive it is to provide a quality education. Times: Are Humanities Majors Better at Branding? We did not know about the 50% drop in liberal arts majors "in the past generation." We don't know upon what David Brooks basis his assertion. Sure, in the 15 years prior to the current recession, jobs were plentiful, money flowed and business majors got hired. Brooks asserts that now people will flock to business majors in even greater numbers because of the recession and the need to be competitive to find employment. We have heard the case for the opposite argument. There is no point now to bypassing the more meaty majors that deal with the content of cultures and civilizations. Might as well study that and become an educated person. The jobs are not there anyway. We thought it was a commonplace that you get your advanced skills at the workplace and your education and knowledge in the University. Brooks may be wrong about what students will choose. Culture with content is more substantial and more interesting. Business schools may be forced to close up if the recession turns into a depression and lasts for the next generation. That sure is a possibility, we hope not a probability. We sure don't have a clue about what he calls the "big shaggy". We do know that he left out religious studies, philosophy and a whole lot more in the core humanities and just about all of the social sciences. A real education is a value in and of itself that resists reductionism. Eek. Does Brooks actually think a humanities major will be better at branding? Does any such claim merit serious attention? There's great complexity in explaining where we have been and where we are going in our society and in particular in our universities. Brooks took a big swing at that set of issues and missed them by a mile. We understand the political and social uses of archaeology, thanks to our son's work in the area, especially well stated in his recent book. 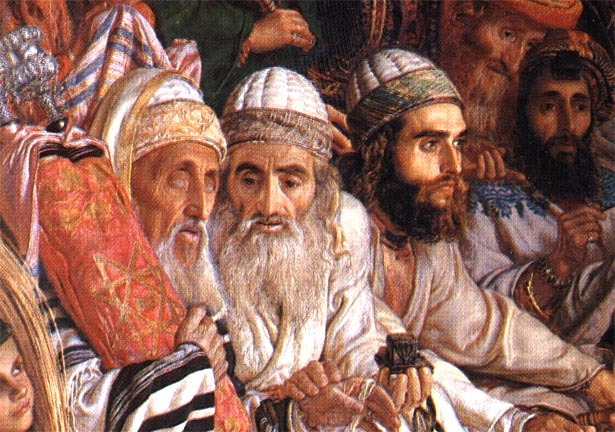 One of the tendencies of the academic establishment is to tout the evidence of idolatry in ancient Israel whenever it pops up, partly out of pure historical curiosity, and partly to make the point again to the religious population that Israelite religion was not the sole faith of the ancient peoples of Palestine. The AP has the story of the latest chapter of this saga. JERUSALEM — Archaeologists have unearthed a cache of rare, 35-century-old religious artifacts once used in pagan rituals, Israeli officials said Monday. The items were found during an excavation ordered by the Israel Antiquities Authority along the route of a new gas line in the country's north. Excavating a rock hollow, archeologists found more than 100 intact artifacts, including a vessel for burning incense and the sculpted face of a woman that was part of a cup used in a pagan religious ceremony. "This is my 42nd excavation in 15 years and the first time I've found more than shards," said Edwin van den Brink, the archaeologist who directed the excavation. He said he expected to find artifacts, but not the amount or quality they uncovered. Some of the small vessels were used to carry precious liquids from Cyprus and Mycenae, Greece, 3,500 years ago. These vessels were replicated by people in those areas, illustrating a link between the regions, van den Brink said. Van den Brink said they might have been used in a nearby temple. They were deposited in the hole either to be preserved from a fire that swept through the region at the end of the Late Bronze Age, or they were buried because they were no longer in use. Yossi Garfinkel, a professor of archaeology at The Hebrew University of Jerusalem who was not involved in the dig, said holy articles could not be thrown out and were buried instead. "It is quite possible that these artifacts were used in the cultic area and in the temple and they accumulated, and when they ran out of space or they became old, a pit was made to bury them," Garfinkel said. The Antiquities Authority plans to exhibit the artifacts in the coming year. Enough rhetoric. Facts. They really do matter. Does Sarah Palin Want to Have an Affair With Dennis Prager? If you look at the way Sarah Palin looks at Dennis Prager in this video from an event on May 24, 2010 at University of Denver, we wonder if there is something going on between them. At 6:20 into the video, Prager opines: "It is not peace activists who liberated Auschwitz. It is military people who liberated Auschwitz." And then this bag of wind goes on to demagogue against the "Left". "The Left has everything wrong...and that is what this battle is about. It is a heroic battle but we have to win..."
Excuse me Mr. Prager but we do need to make a historical fact clear here. It was the Red Army of the Communist Soviet Union that liberated Auschwitz. "On January 27, 1945, the Soviet army entered Auschwitz and liberated more than 7,000 remaining prisoners, who were mostly ill and dying." Now Mr. Prager, we come from the reality based liberal wing of American Jews. We condemn in no uncertain terms your demagoguery not only, to put it mildly, because it is a load of gibberish, but because we do believe in making decisions based on truth, history, facts and true empathy for our fellow human beings. It would appear in fact that you, Mr. Prager, "...have everything wrong... and that is what this battle is about..."
The power of the viral Internet was reinforced today with the ouster of Helen Thomas after her outing as an anti-Semite by www.RabbiLIVE.com c/o Rabbi David F. Nesenoff who interviewed Thomas on the White House Lawn on - of all days - American Jewish Heritage Celebration Day at the White House. We believe in the power of repentance. Hence we suggest to Helen that she take a trip to Israel and Gaza and the West Bank and reassess her ignorant anti-Semitism. Why Does the Times Publish this Ross Douthat Anti-Israel Craptrap? In the wake of the Gaza and Lebanon wars, and now the blockade-running fiasco, the Jewish state is as isolated on the world stage as it’s been since the dark Zionism-is-racism years of the 1970s. To which all we can say is, ooh ooh - not isolated on the world stage again! What ever does that negative sounding assertion mean anyway? Don't the Times' editors even read or edit the claptrap op-eds that they publish? Some detailed speculations from lonelysandwich blogger Adam Lisagore on the status and future of TV via Apple and others. Yes, we do lots of iPad reading and writing while reclining with the device perched on our chest. That is what makes the thing truly amazing. Are we Jews a stupid, block-headed nation? "Let us shed our illusions, starting with ourselves, whoever we are and however august our inheritance of stupidity." Ironic that the idea of the Sabbath that made it the backbone of the strength of the ancient Israelite people, the notion of a forced day of rest for the worker, has now become so totally trivialized, that it becomes nothing more than a way to learn some sort of arbitrary anti-technology self discipline. This article in the Jewish Standard, pulled from j. the Jewish news weekly of Northern California qualifies is our estimation one of the worst ever written about any Judaic value or subject, "Disconnect to connect: Sabbath Manifesto urges the Google generation to unplug and slow down." As we see it, this manifesto described in the report, and all related to it, is not in the least bit what the Sabbath is all about. For most people the technology of our times is integral to both work and rest, to both productivity and diversion. Learning to relate to technology and use it properly does not happen when you totally ban it for one day every week. There is no insight in the free association of ancient Sabbath taboos with modern kvetching about your children texting all the time. Just accept that we need for children and adults to learn the propriety of sexual relations without the apologetics about the absolute genius of the mechitza separating men and women in the synagogue. We also need to learn how to properly relate to technological communications without the apologetics of the brilliant foresight of the Sabbath restrictions of ancient times. Ironic isn't it? The Sabbath, part of what made our people the most admired in the world in ancient times because it relieved the worker one day a week from the actual slavery of daily toil, now makes our people look utterly idiosyncratic, no matter the apologetics reported in the press. The actual reasons for Sabbath observance in modernity are difficult and absurd, not based on convenient coincidences between some oddball notions of what is good for you, but on the actual ancient taboos that we keep because we believe the Torah was given to Moses on Mt. Sinai and we were commanded to observe it. We now have free data tethering on our Sprint Palm Pro mobile phone running on the Windows mobile operating system. How? We downloaded the WMWifiRouter software to our phone, installed it, and in five minutes we had a hot spot from our phone over the power vision Sprint web access and connected our iPad to it. The next day we found out that the Times had also discovered the package and included it in a review article, "Thrifty Wi-Fi That Travels With You." Software can turn many new and older phones into hot spots, too. WMWifiRouter, from Morose Media, based in the Netherlands, works on a variety of phones. I used it on an HTC Touch Pro2, which runs the Windows Mobile operating system. The software ($19.99 at wmwifirouter.com) can be downloaded directly to the phone. The only drawback to this arrangement is that the phone runs hot while serving as a router and the battery drains quickly. We estimate a few hours of usage is all you can expect before you need to recharge your cell battery. And not to worry. You still get your phone calls while using your phone as a router. We recommend giving this product a shot. At a one time cost of $19.99 and after that no monthly charges, i.e. free wifi data tethering, and with flawless installation and configuration, it's worth trying before spending $30 - $60 a month on a subscription elsewhere on one of the options described in the Times article. To show that we are so disgusted with provocations by pseudo-victims -- we post a Caroline-Glick-produced satirical video. Hat tip to Mimi. And read about how Gazan victims brag of their new swimming pool and much more here, "Fancy restaurants and Olympic-size pools: What the media won’t report about Gaza." Hat tip to Bernice. New book asks, Why are there Islamic Terrorists? Of course, the Islamic terrorism that is most dangerous is an organized social phenomenon, not a product of individual aberrations. Even so, it is worth pondering what mechanisms in the Islamic culture or psyche help enable this most destructive phenomenon. Nancy Kobrin's bold new book (The Banality of Suicide Terrorism: The Naked Truth About the Psychology of Islamic Suicide Bombing ) investigates that problem, as reviewed in "Islamic Suicide Terrorism & the Stockholm Syndrome Writ Large" by Jerry Gordon in the New English Review.